I hope that you had a fantastic weekend!!! I did!!! So let's start this week out with a bang, with some HOLO!!!!!! If you follow me on Instagram you have seen a preview of this polish. I declared this the most photogenic polish I had come across. This polish was a DREAM. At the time that this was sent to me, it had no name. We offered up some suggestions on Instagram so we will have to see what the final verdict is. As for this polish, the verdict is already in. 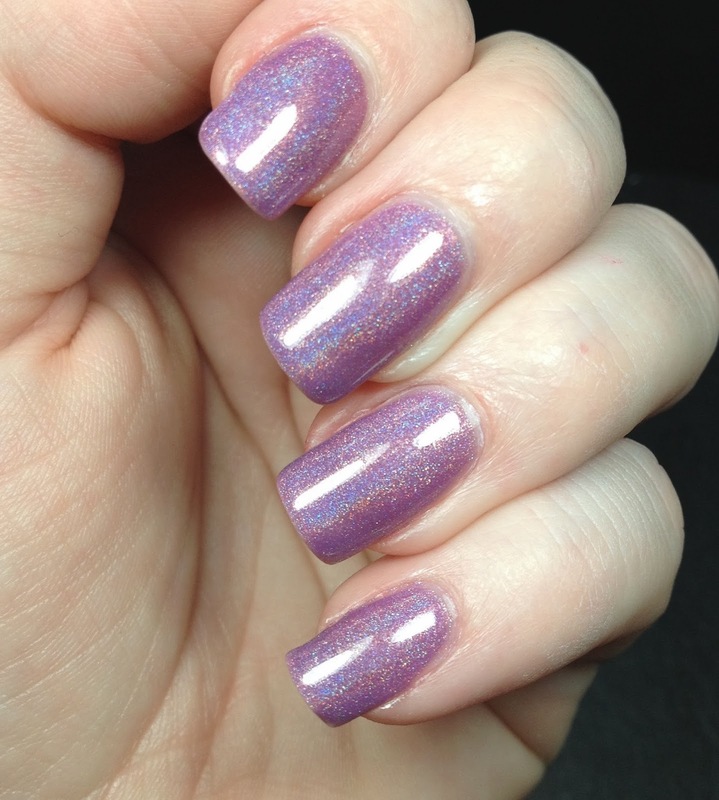 This holo is amazing. I have seen pictures of her other holo polishes and I know I need more of them. 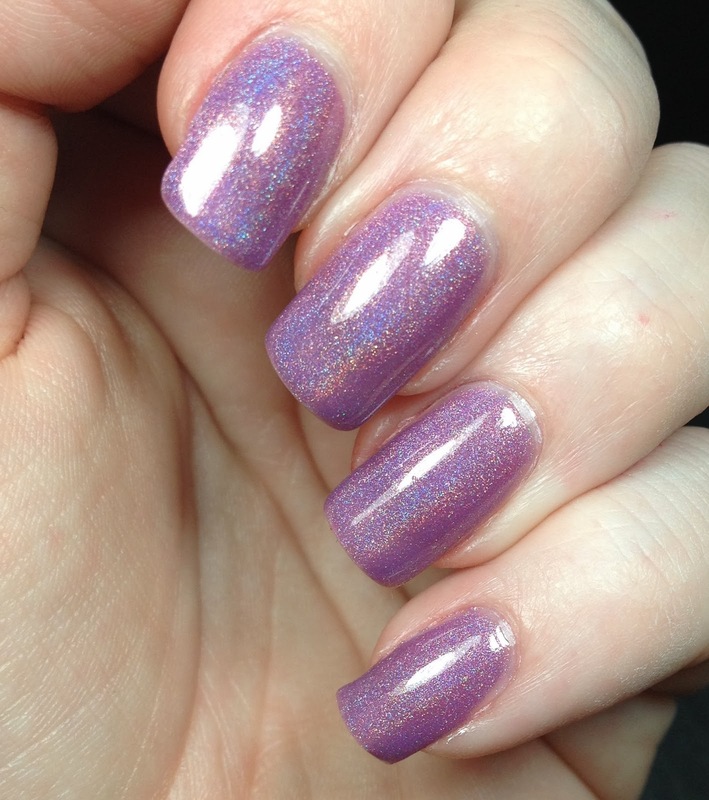 This is three thin coats of the lilac holo polish over Duri Rejuvacote and topped with Glisten and Glow HK Girl topcoat. I know this may seem like a lot of pictures, but I just couldn't stop myself. It's too beautiful. 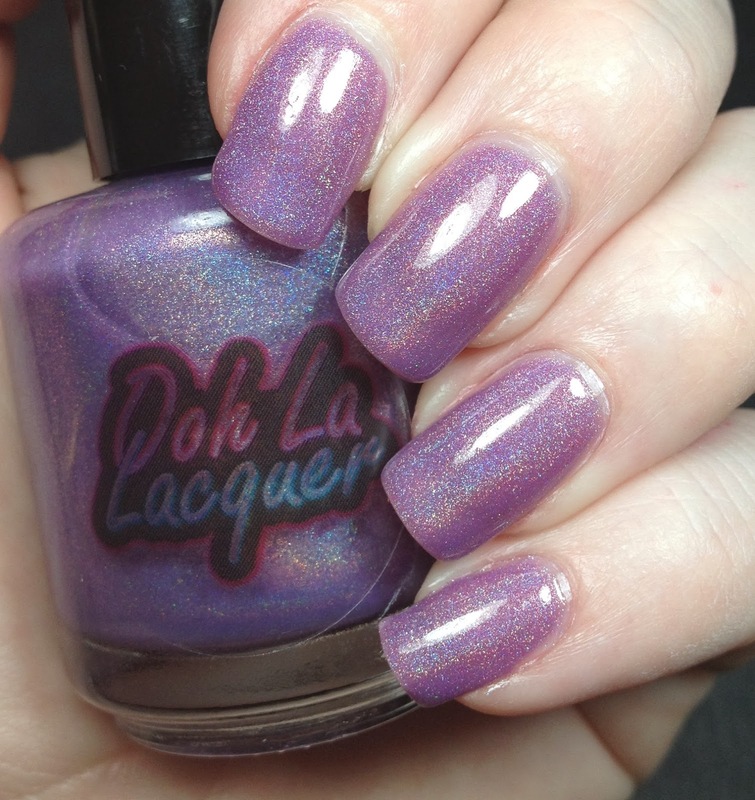 Do you own any of her holos? If not you totally should!!! This is gorgeous! I love purples like this.